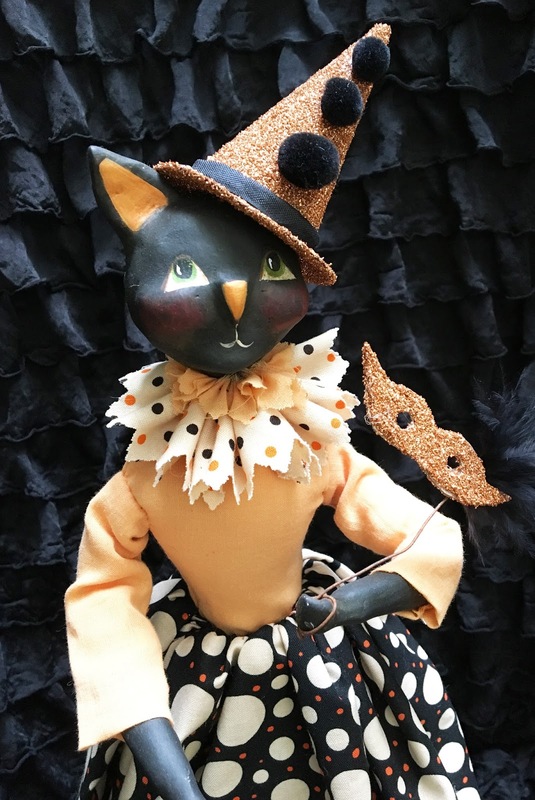 Colleen Moody's Doll Studio: "Bewitched"
This festive Halloween cat stands 18 inches tall and carries a sweet mask to hide behind so no one will know her identity! Her orange glass glittered cheery witches hat is reassuring that her Halloween will be one of fun. 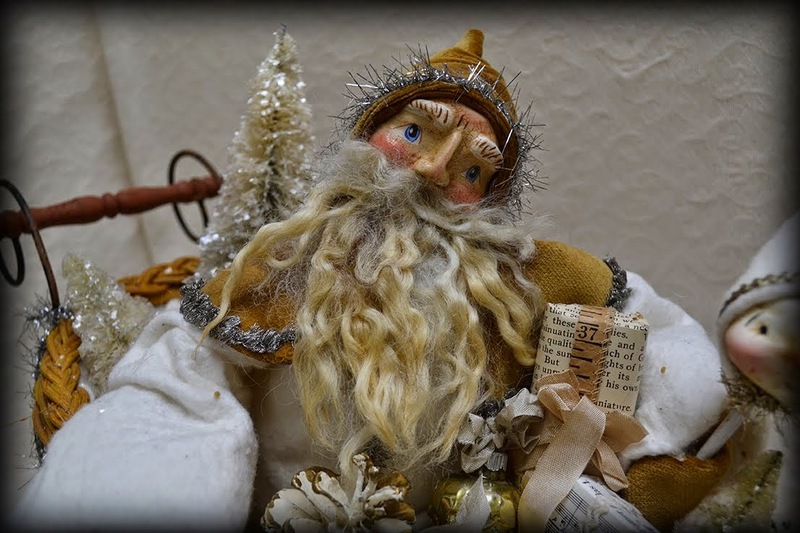 Come "play clay" and create your very own "Bewitched". The workshop will begin by sculpting the cat's head and hands. We will then put your pieces aside to dry and finish your cat with pre-sculpted pieces provided to you. You provide the fabrics so you can style her to suit your decor. Fabrics, laces and trims to dress your piece. The skirt on the sample is approximately 11 inches from waist to base and 30 inches around. Fabric for bodice needs to be at least 5" x 10"
Collar fabric pieces are approximately 2" x 16"
If you see something you would like, just email me at Colleen.Moody@Yahoo.com. I will get back to you as quick as I can.